Scientists have succeeded in cloning the rat. The researchers from China and France say they managed to create several rodent copies - both male and female. The rat joins a lengthening list of animals that have been cloned from an adult cell. These include sheep, mice, cattle, goats, pigs, cats, mules and horses. 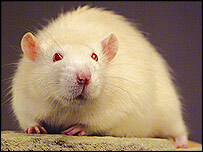 The rat has come later than the others because of unique difficulties in controlling the development of its eggs in the early stages of the cloning process. Rat eggs activate almost immediately they leave the ovaries, making it difficult to introduce the genetic material of the animal to be copied. In a paper published online by the journal Science, Qi Zhou and colleagues describe how the use of a chemical at a key moment can stabilise the eggs, so leading to successful embryos that will implant in a surrogate mother. As with other cloning exercises, however, the failure rate was very high. The scientists say their effort could aid the study of disease by making it easier to produce animals that have illnesses that more closely mirror those found in humans. 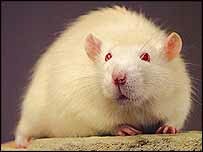 Rats are already used in this role to investigate hypertension, diabetes, and some neurological disorders. Cloning technology could extend the range of conditions that the rodents can be made to mimic, the scientists said. "Our results... pave the way for more extensive genetic modifications such as conditional knock-out and gene replacement which are required to produce relevant models of human diseases," they write in their Science Express paper. "